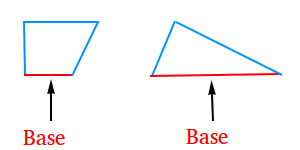 Base of a plane figure - Definition and illustration. The base of a plane figure is the side on which the figure " sits ." You could also say that it is the bottom of the plane figure. We show the base with a red segment for the trapezoid and the triangle below. 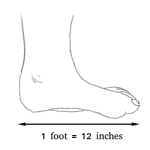 Notice how the base of the trapezoid in the figure above happens to be the shortest side in this situation. 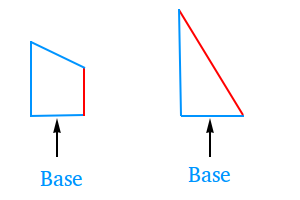 The base of a plane figure does not have to be the shortest side or the longest side. Just rotate the figure and make it "sit" on a different side and that side is your base. 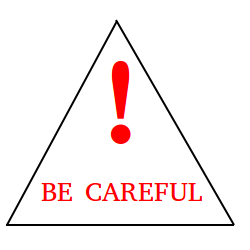 After rotating the triangle and the trapezoid, the red segments are no longer the bases for these figures.